Summary (from the back of the book): It's a sunny morning in Cambridge, Massachusetts, and also Dr. Kay Scapetta's birthday. She's about to head to Miami for a vacation with Benton Wesley, her FBI-profiler husband, when she notices seven pennies on a wall behind their home. Is this a kids' game? And if so, why are all of the coins dated 1981 and so shiny they could be newly minted? Her cell phone rings, and Detective Pete Marino tells her there's been a homicide five minutes away. A high school music teacher was shot with uncanny precision as he unloaded groceries from his car. Yet no one heard or saw a thing. 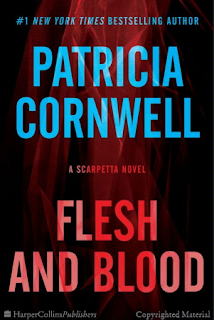 In this twenty-second Scarpetta novel, she is in the unsettling pursuit of a serial sniper who leaves no incriminating evidence except fragments of copper. The shots seem impossible to achieve, yet they are so perfect that they cause death in an instant. The victims appear to have had nothing in common, and there is no pattern to indicate where the killer will strike next. First it was New Jersey, then Massachusetts, and now it looks like the killer has moved elsewhere, to the murkey depths off the coast. It's here that Scarpetta dives a shipwreck, looking for answers that only she can discover and analyze. And where she comes face-to-face with shocking news that implicates her techno-genius niece, Lucy, Scarpetta's very own flesh and blood. Review: No surprise that I am reading a Patricia Cornwell novel; I do love a good forensic story. However, this is not one of my favorites of hers. 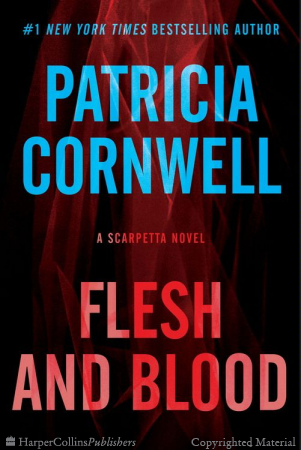 As usual, I like the characters and in this one we really deal with Cornwell's usual line up: Kay Scarpetta, the medical examiner; Benton Wesley, her FBI-profiler husband; Lucy, her amazing at everything niece; and Peter Morino, a detective who used to work for her. 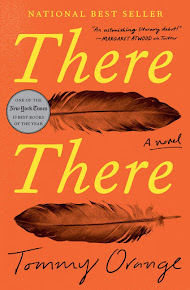 The secondary characters are good, but not super relevant in this novel. They are used mostly to get information about the serial killer out to the reader. I usually feel like the secondary characters play a larger role, which I like as it gives the novel more depth. And, to be honest, I am not sure how all the characters fit together this time. The victims make no sense, even when I learned who the killer is. I feel a bit like some characters were brought in as major players then disappeared with no explanation of how or why they really fit into the whole story. The plot is the usual fair, which I definitely like. I mean, I have read at least ten of these novels! I find the forensic stuff fascinating--how the DNA and blood are tested, what do the findings mean, what evidence can they get at a crime scene, etc. But, this book has a lot of bullet and gun information that just made me gloss over. All in all I did enjoy reading this novel, but I didn't love it the way I have most of her other forensic mysteries.